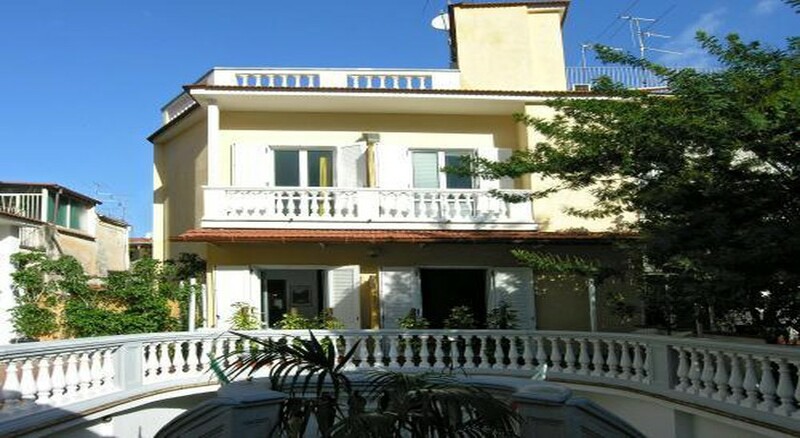 The front of the building- where the reception is to be found- faces an ancient colonnade- displaying magnificent Roman columns; whereas the rear of the building- where some of the terraces of the rooms are located- faces onto a large garden rich with the scent of lemons. 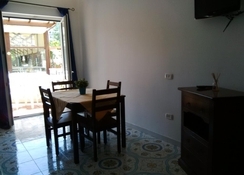 This family friendly complex- renovated in 2006- is ideal for a wide range of visitors- for example those seeking a direct and familiar rapport with the staff- those who appreciate the provision of self-catering in the apartments-(on resquest) those who desire to spend their vacation in the city centre- as well as- for all those who love peace and quiet and want to remain away from the chaos of the town's traffic. 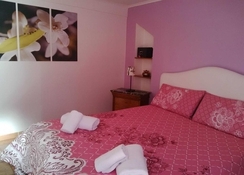 This city guesthouse comprises a total of 10 accommodation units. The rooms offer individually adjustable air conditioning and heating- satellite TV- a fridge- a safe and a small- but fully-equipped kitchen (on request) .Tea and coffee making facilities- a private bathroom with a shower- a hairdryer- a king-size or double bed and either a balcony or a terrace are provided in all accommodation as standard. By plane: from Capodichino Airport in Naples there is a bus service run by the Curreri company with numerous departures daily; the length of the journey to Sorrento is approximately 1 hour. 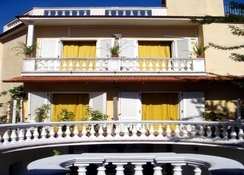 The closest stop to the hotel is the Sorrento main square- Piazza Tasso. By car: arriving from Naples- follow the signs for the A3 highway in the direction of Salerno. Then- after 25 km take the exit for Castellammare di Stabia and driving along the road towards Sorrento- you will arrive at the main square- Piazza Tasso. The hotel suggests asking for the Stragazi or Stinga car parks. From the 1st of April to the 15th of November the centre of Sorrento is closed from 7.30 pm to 2.30 am so guests are advised to use the Stinga car park which is located in Via Degli Aranci. If you have problems finding the hotel do not hesitate to contact the staff. By train: from the Naples Central Station- Piazza Garibaldi- take the Circumvesuviana (local metro service) to Sorrento and get off at Sorrento station. The Circumvesuviana trains depart on average every 30 minutes until 11 pm. By boat: from the port in Naples- Beverello Quay- take the hydrofoil to Sorrento. In about 35 minutes you will arrive at the harbour in Sorrento from which- every 10 minutes- there are minibuses to take guests to Piazza Tasso- Sorrento's main square. The hotel features an open-air pool which may be used for an additional fee.